This is a rectangular In Case of Fire porcelain sign. This particular In Case of Fire sign is black with red and white text. 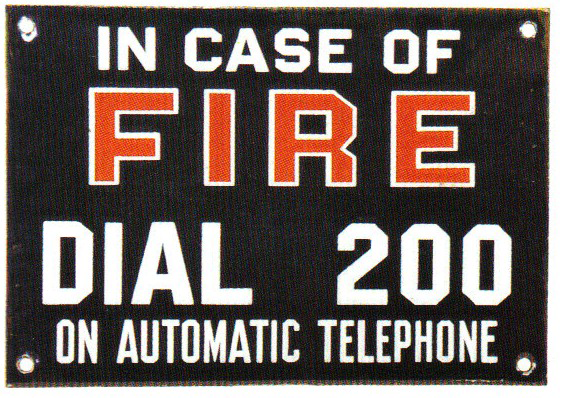 It reads, “In Case of Fire, Dial 200 On Automatic Telephone”.